Check out Tobi's Deep Canyon Shearling Wool Jacket Warmth never looked this good. 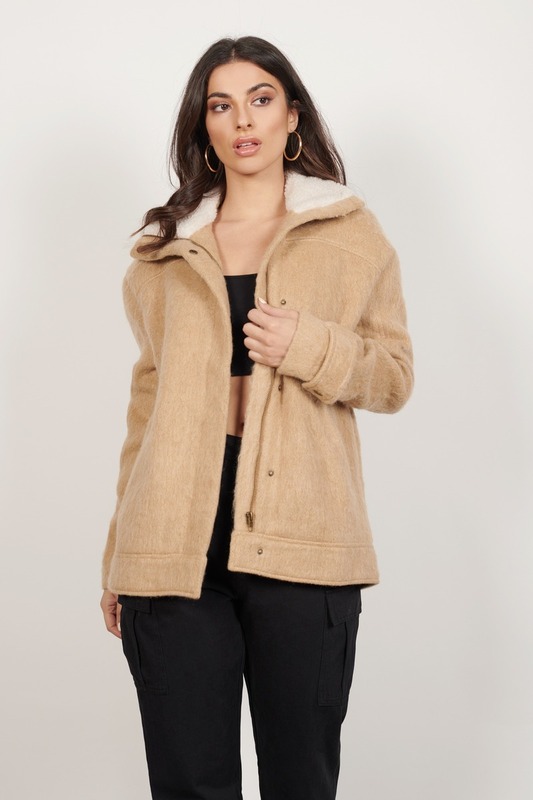 The Deep Canyon Camel Shearling Wool Jacket features a slightly relaxed body, button and zipper details, and a gorgeous shearling contrast collar. Perfect to throw on for a trip outdoors, pair this short faux fur coat with dark jeans and combat boots. Warmth never looked this good. The Deep Canyon Camel Shearling Wool Jacket features a slightly relaxed body, button and zipper details, and a gorgeous shearling contrast collar. Perfect to throw on for a trip outdoors, pair this short faux fur coat with dark jeans and combat boots.